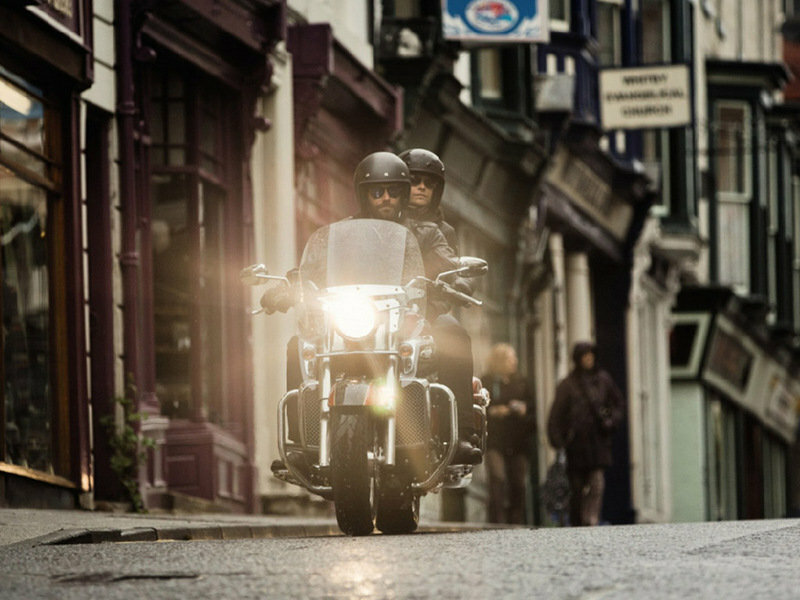 From a cross-town hop to an intercontinental tour, the America LT will take you there in style. 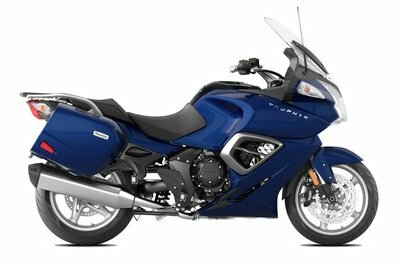 Based on the engine, chassis and legendary styling of Triumph America, the LT adds a layer of touring capability and an enviable range of factory fitted extras designed to make those longer distances a breeze. 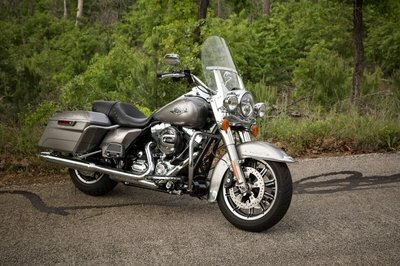 All the while maintaining the traditional deep chrome and polished detailing demanded of a classic cruiser, of course. 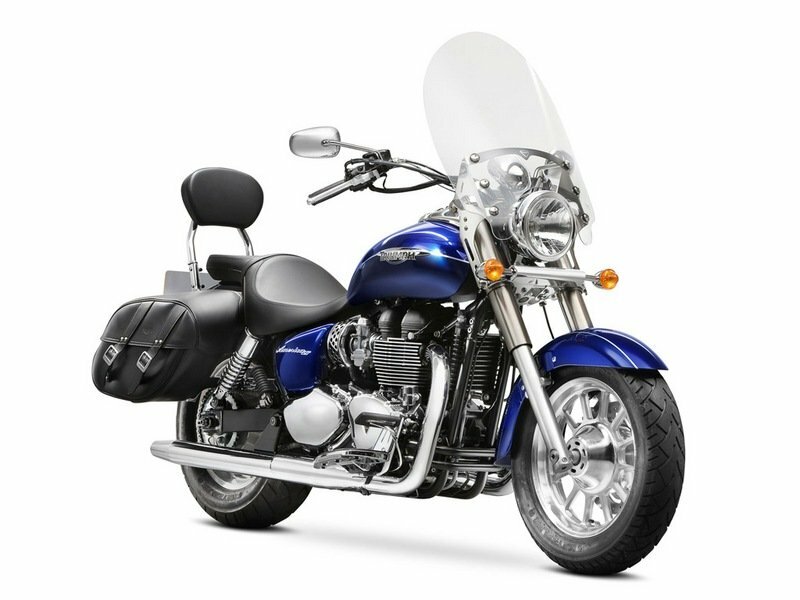 Continue reading for more information on the Triumph America LT.
•	Comfortable all day riding position with a sumptuous, scalloped seat, wide footboards, pulled back handlebars, and excellent wind protection. 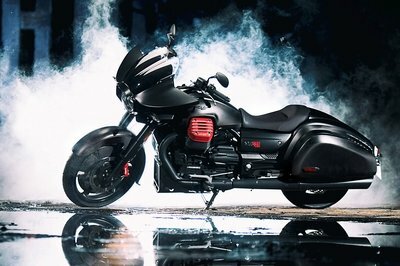 Striking machined fins pick out the distinctive parallel twin shape, while chrome engine covers are offset against jet-black barrels and crankcases. 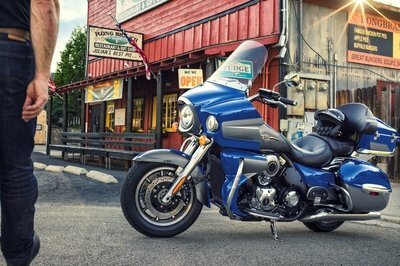 A pair of wide, dramatically splayed exhaust pipes dominate the LT’s front three-quarter profile with their classic ‘header-run’ following a straight line from the throttle bodies through to the headers. 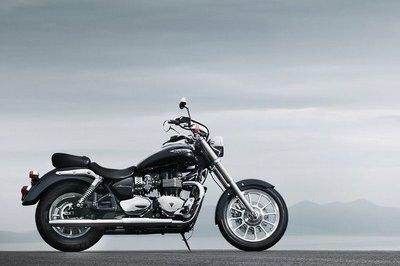 Triumph parallel twin heritage for all to see and admire. 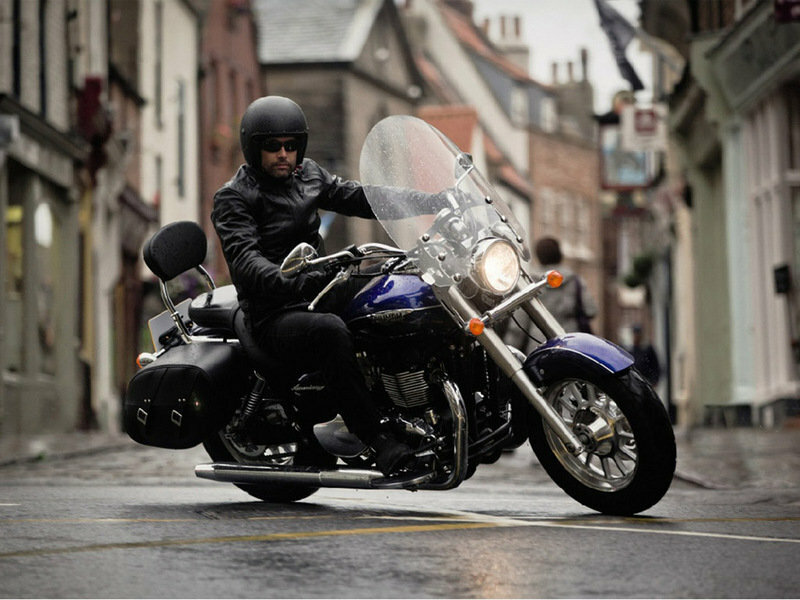 Swept-back classic styling, characterised by details such as the dramatic slab top yoke, centre-mounted white-faced speedo, large single headlight, chrome tank console housing and filler cap, and hand-painted tank and mudguard coachlines. 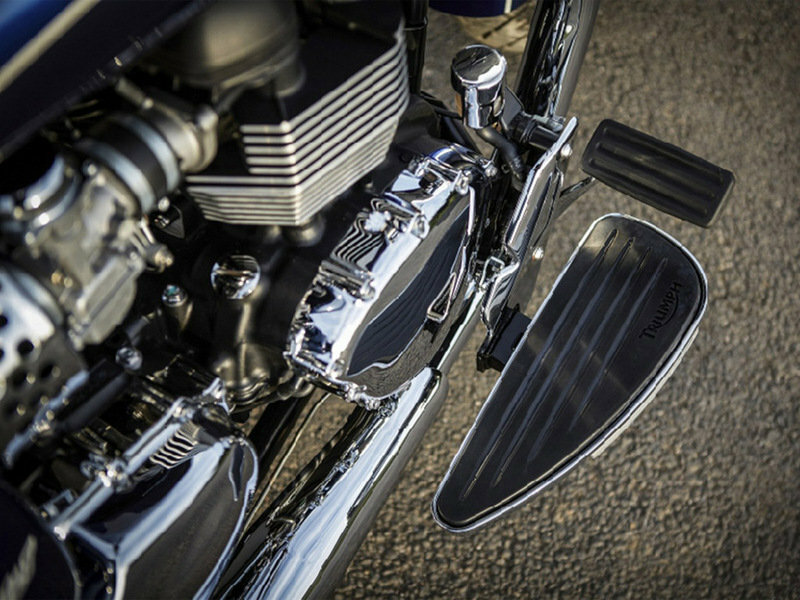 High-quality aluminium foot-boards and removable skid plates come with a classic heel/toe gear shift, positioning the rider’s feet for maximum comfort and control. The tall wind-shield deflects the worst of the weather and is easily detachable (via a pair of spring-loaded levers at each side of the screen) to achieve a completely alternative look. 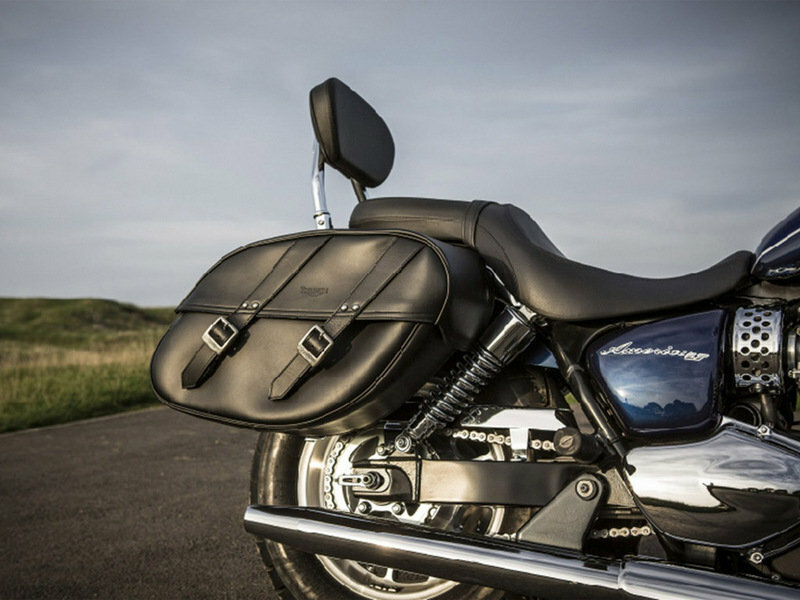 Triumph added a pillion backrest to add all day comfort for your passenger too.